Cheek implants have been used for approximately 35 years. They provide a great enhancement to the mid third of the face. 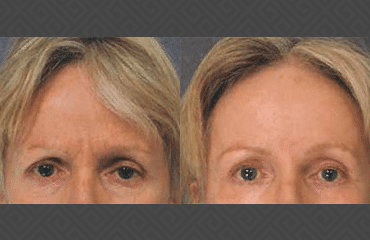 Many patients have a very flat mid-third of the face which gives them a sad and ageing look. Cheek implants are usually inserted through a very small incision in the mouth with stitches that dissolve. This is an outpatient surgical procedure. The implant cannot be felt. I have followed cheek implants up for 30 years; they just "sit" there and afford no basic problems for a patient. 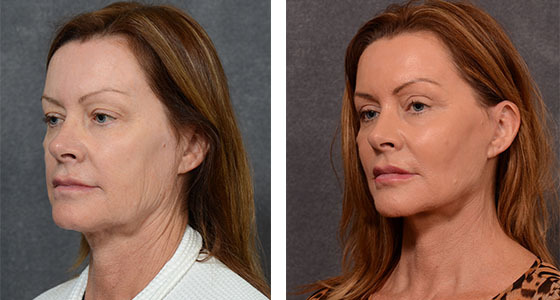 My long-term impression is that cheek implants are by their insertion able to achieve a great deal of satisfaction for patients; they are subtle and make people look happier and younger. Cheek implants rarely move or get infected. 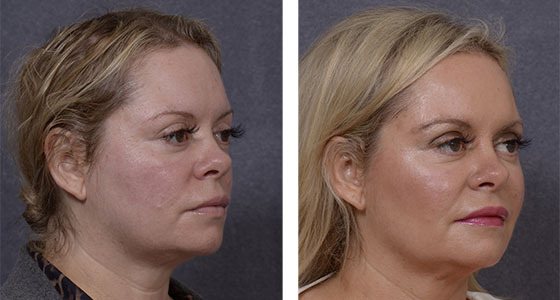 We sometimes combine cheek implants with chin implants to produce a better structure for the face. I sometimes use cheek implants at the same time as a facelift and you can see examples of this procedure, greatly enhancing the appearance of the cheek. Some doctors promote fillers and fat for this region, but these are not as predictable as the result obtained from the insertion of a proper solid silicone implant. Cheek implants are available in multiple sizes and in contrast to fat and/or injectables, can be controlled much easier with foreseeable outcomes. Cheek Implants have now become more popular as we are exposed to so many attractive fashion models with very prominent high cheek bones. High or prominent cheek bones are typically associated with young and beautiful, smiling faces. 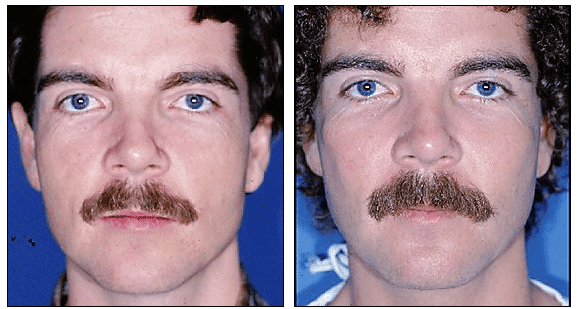 Flat cheeks may produce a sad or depressed appearance and cheek implants can produce a fullness similar to smiling. Cheek implants are created from silicone or Gore-tex and are usually inserted through a small incision inside the mouth. A wide variety of shapes and sizes is available. This is an outpatient procedure performed under twilight anaesthesia. After about a month, implants do indeed feel natural and produce an improvement in shape and appearance of the face, glamourising the face for women and strengthening it for males. Careful selection of the size and shape of your implants should be made by you and your surgeon.